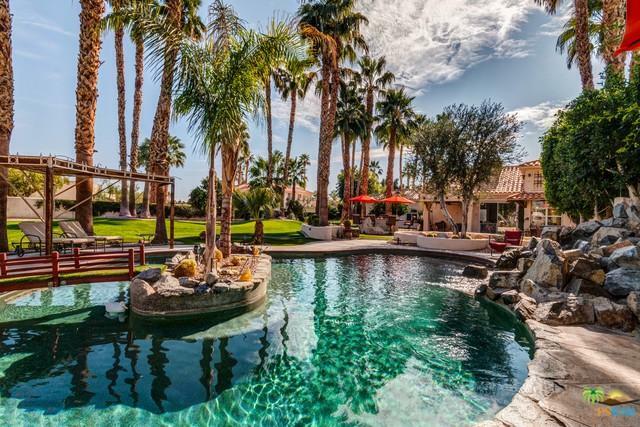 Custom-built 5 bed, 6 bath on 1.25 acre estate-like compound offers an expansive resort-style backyard with mountain views, hotel-size pool and spa with custom waterfalls, pool-side cabana, putting green, rolling lawns and multiple citrus trees. A true match for those who love to entertain and/or who need a large casita with private entrance, full kitchen and a private bath! 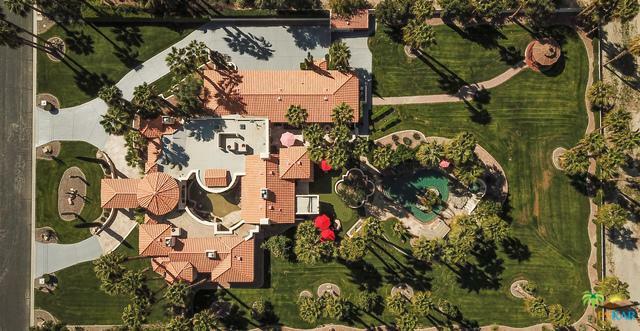 Long circular drive leads to a grand entry that opens to the formal living and dining areas. Adjacent kitchen has complete appliance suite, casual dining area and easy access to the adjacent media room and separate family room complete with fireplace, wet bar, and access to the outside. Master Suite with retreat has high ceilings, fireplace, mini-bar with refrigerator and two private bathrooms. Junior Ensuite Two has high ceilings, fireplace, views and a private bath. On the other side of the house are two additional bedrooms and two baths. Generous parking opportunities and attached three car garage. ©2019 California Desert Association of Realtors. All rights reserved. IDX information is provided exclusively for consumers' personal, non-commercial use and may not be used for any purpose other than to identify prospective properties consumers may be interested in purchasing. Information is deemed reliable but is not guaranteed accurate by the MLS or The John Jay Group - Bennion Deville Homes. 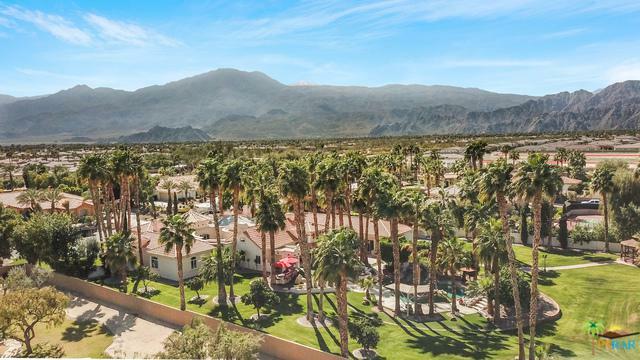 Based on information from the California Desert Association of Realtors as of 2019-04-20T12:36:49.247. All data, including all measurements and calculations of area, is obtained from various sources and has not been, and will not be, verified by broker of MLS. All information should be independently reviewed and verified for accuracy. Properties may or may not be listing by the office/agent presenting the information.